Top mixologists across the UK trust our quality. There is a reason why those in the know, use Who Knows fruit juices and other bar ingredients. We have over 25 years’ experience within this industry and provide the best bar supplies for your mixologists to create fantastic drinks. Anyone who has ever worked in the industry knows that a great cocktail relies on bartender expertise and top quality products. Don’t let your masterpiece fall short by compromising on the calibre of your bar supplies. Stock the best juices and purees available to impress your clientele with outstanding cocktails. Why Use Our Bar Supplies in your Cocktails? A busy bar service leaves no time for juicing fruit. This is where we come in. 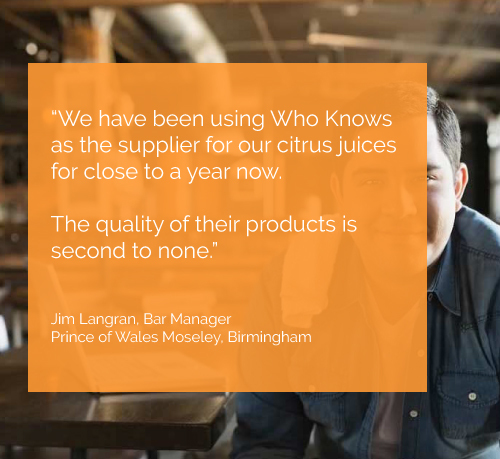 Our freshly squeezed ingredients are delivered within 24 hours, ensuring your cocktails are of the finest quality. You save time making your operation more efficient and there is no waste so you save money. Whether you are an expert at making classic rum cocktails or a pro at creating fantastic gin cocktails, our bar supplies will provide your customers with the best cocktails they have ever tasted! 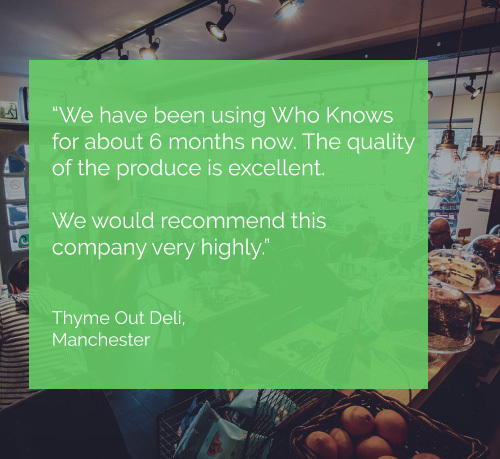 Customers want to know that they are getting the very best and you can be assured that you are providing this when using any of our fresh produce. Our zesty limes are sourced from the heart of Mexico and Brazil to perfectly compliment your margaritas and mojitos! If your clientele prefers a Gin Fizz, our Verna, Prima Fiora and Lamas lemons are sure to go down a treat in this sweet drink. We are extremely confident in our product and you will be too after trying a sample of our juices. Fill out the form below to receive your free sample. You can then visit out contact page if you would like to place an order for our bar supplies.